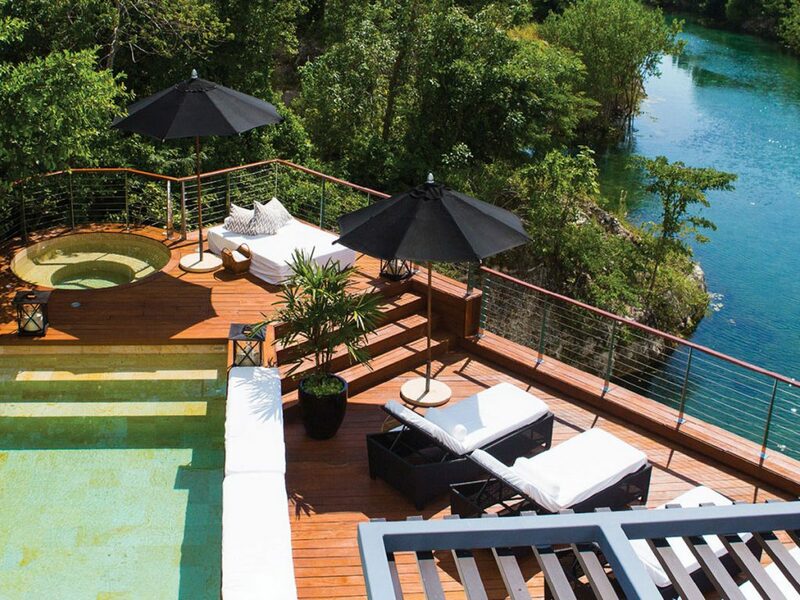 Among the lush forests and winding mangroves of the Riviera Maya is Mayakoba, a master-planned resort development that is home to four resorts—Banyan Tree Mayakoba, Rosewood Mayakoba, AndazMayakoba and FairmontMayakoba—along with an array of residences and the up-and-coming Ciudad Mayakoba, the first residential-planned community in Playa del Carmen. Occupying 1,581 acres of beachfront, Mayakoba is centered around El Pueblito which is designed to replicate an authentic Mexican village square complete with boutiques, sidewalk restaurants and art galleries along with a Catholic chapel that holds Mass every Sunday. Another highlight of the community is the 18-hole Greg Norman-designed El Camaleon Golf Course that is home to the only PGA tournament in Latin America and easily accessible by all Mayakoba residents. For those looking for true resort living, Fairmont Residences Place offers 30 three- and four-bedroom apartments set in six buildings that overlook the waterways of Mayakoba, located adjacent to El Camaleon. Rosewood Mayakoba offers fully furnished, full ownership residences located on the freshwater lagoons while Banyan Tree’s Golf-View Residences overlook the 17th hole of El Camaleon and the crystal clear waterways. These multi-level residences feature private infinity-edged pools on wide terraces on the rooftop level. Inside Ciudad Mayakoba, Senderos Norte will offer residential lots from 1,722 square feet along with a pet park and 5KM of bike path. Senderos will offer residential lots from 3,229 square feet and will feature a children’t park, 5KM of bike path, and cenotes.